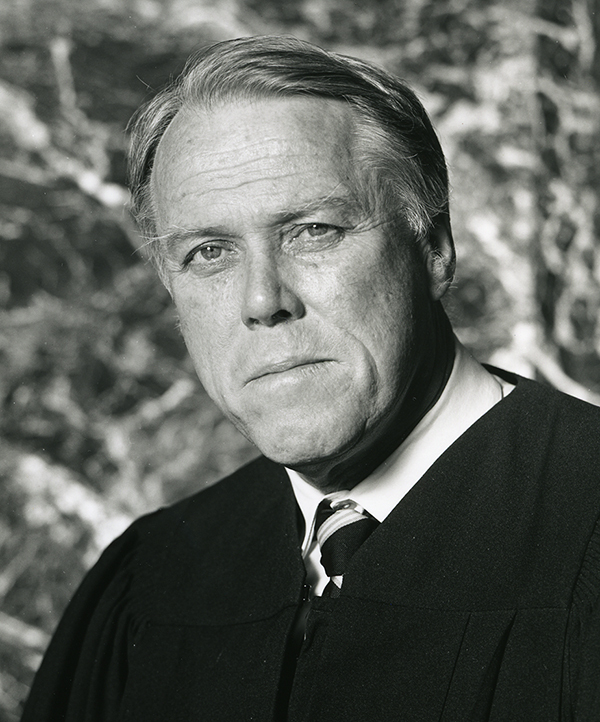 SAN FRANCISCO (CN) – Senior Circuit Judge John Noonan, whose tenure on the Ninth Circuit Court of Appeals spanned three decades, died Monday at the age of 90. “Judge Noonan was a distinguished jurist and an eminent scholar with a particular focus on the historical development of moral concepts. He was well known and highly respected by the bench and bar and had many admirers in academia,” Chief Circuit Judge Sidney Thomas said in a statement announcing Noonan’s death. Noonan was appointed to the court in 1985 by President Ronald Reagan. In addition to his 1,080 legal opinions and dissents, all of which he is said to have written on yellow legal pads, Noonan authored 13 books on law, politics and religion, including “Contraception: A History of Its Treatment by the Catholic Theologians and Canonists.” Noonan’s 1966 work is thought to have influenced Pope Paul VI’s decision to look into birth control and he appointed Noonan to serve on a papal commission to study the issue. A native of Boston, Noonan earned his bachelor’s degree from Harvard in 1947. He also studied English Literature at Cambridge, then went on to earn a master’s degree and Ph.D. in philosophy from The Catholic University of America. In 1954, he received his law degree from Harvard, and after five years in private practice joined the Notre Dame Law School faculty in 1960. He later taught at UC Berkeley’s Boalt Hall. On the Ninth Circuit, Noonan was known as a highly principled and deeply religious jurist with a predilection for social justice. In 1987, he wrote a groundbreaking opinion in Lazo-Majano v. INS, finding that domestic violence could be used as a basis to seek asylum. In that case, El Salvadoran refugee Olimpia Lazo-Majano had been beaten, raped, and threatened with death by a member of the Salvadoran military, yet her request for asylum had been denied. Noonan ruled that her persecution was an expression of her abuser’s political views. “A judge deals with precedents and principles. A judge also interacts with persons. A judge can sometimes overlook the persons as his attention is focused on the law. But the judge’s acts always affect persons – real, living, breathing humans,” Noonan said in 2014. In 1995, Noonan wrote the majority opinion in first right-to-die case ever decided by a federal appeals court. The ruling, in which Noonan was joined by Circuit Judge Diarmuid O’Scannlain, upheld a Washington state law banning physician-assisted suicide. The case, Compassion in Dying v. State of Washington, was eventually heard en banc and later upheld by the U.S. Supreme Court. Noonan also dissented in Kyllo v. United States, a landmark privacy case that ultimately went to the U.S. Supreme Court. In that case, the majority held that police officers did not violate Danny Kyllo’s Fourth Amendment rights when they used a thermal-imaging device to monitor his house from outside. That ruling was overturned by the Supreme Court, agreeing with Noonan that the use of the device constituted a search that required a warrant. us,” Circuit Judge Stephen Reinhardt said in a statement Tuesday. In a statement, O’Scannlain called Noonan a giant on the court. Noonan leaves behind a wife, Mary, and children John, Rebecca and Susanna.